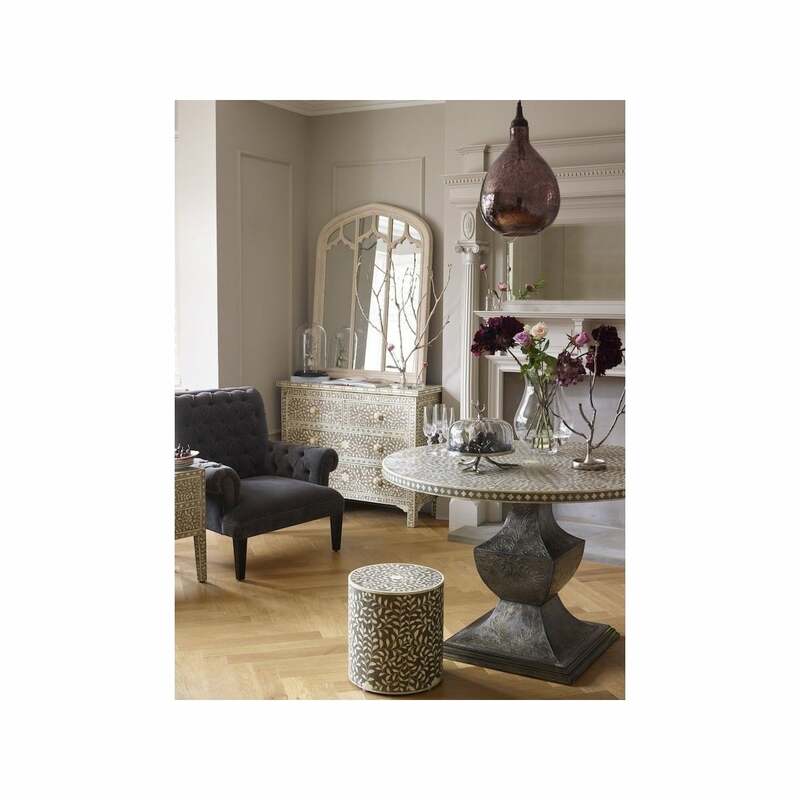 Beautifully crafted, this Bone Inlaid Round Stool is perfect for Contemporary as well as Traditional spaces. 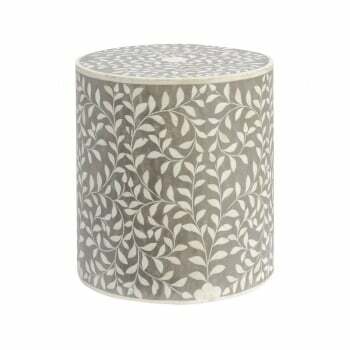 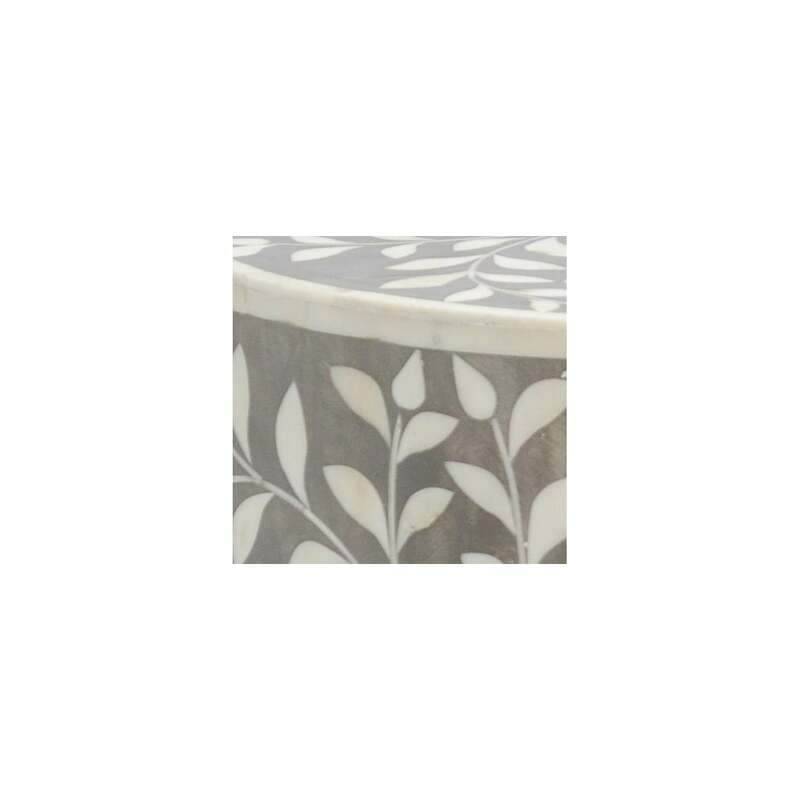 The Small Stool features a round shape and a grey finish with the hand inlaid bone petal pieces in a delicate floral pattern. 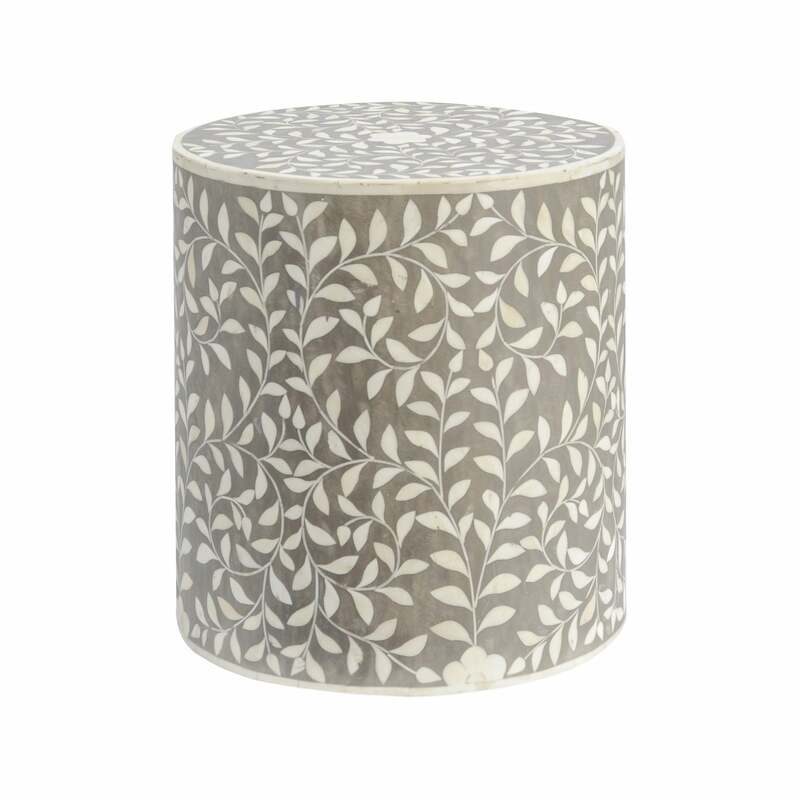 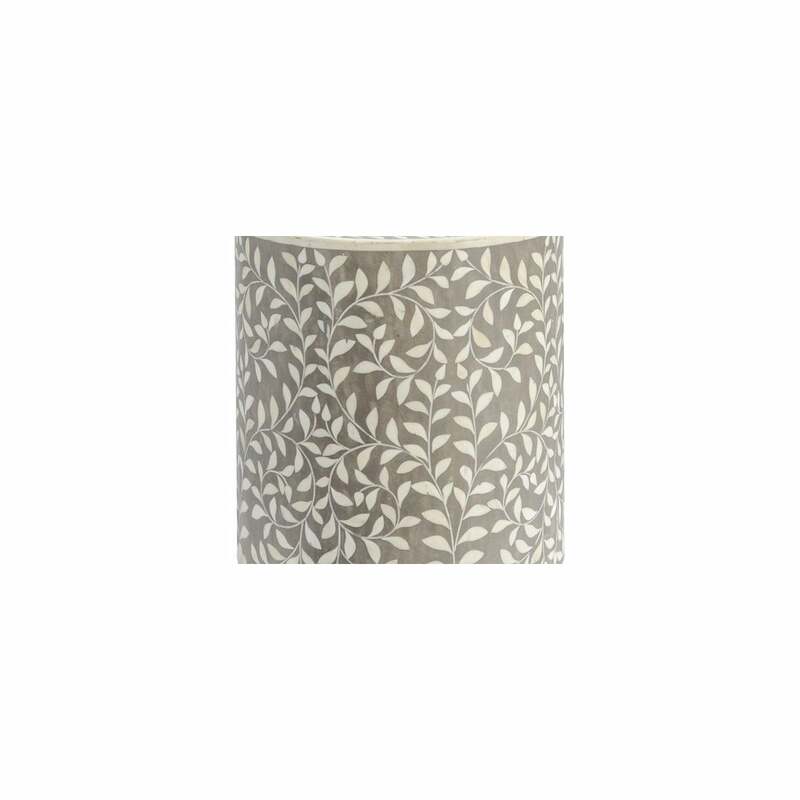 You can place this stylish piece to your bedroom or living space as a Small Side Table. 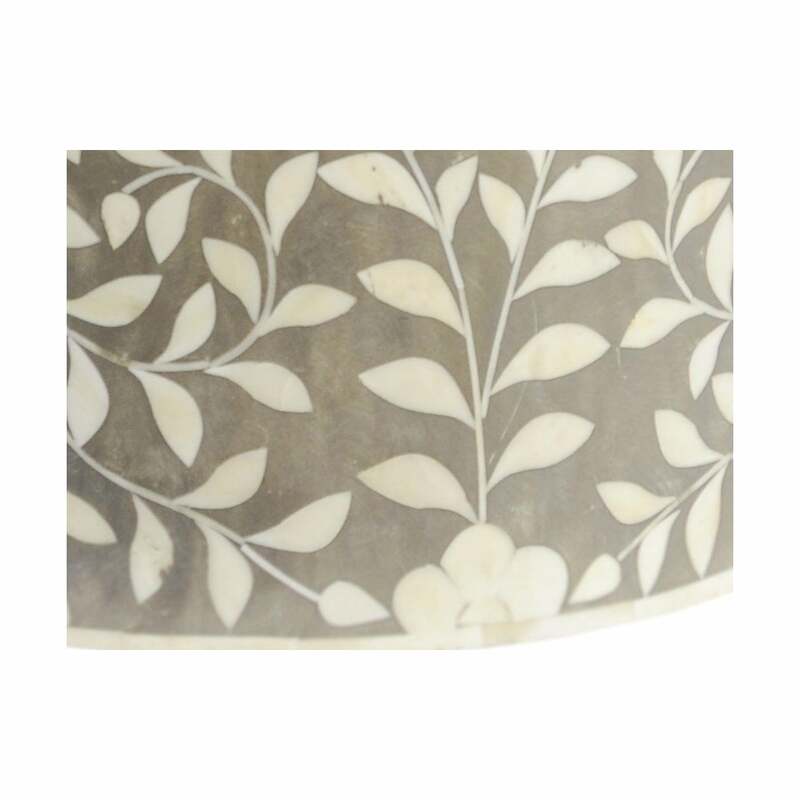 It's also possible to pair it with other pieces from the unique Bone Inlay Collection (available separately).